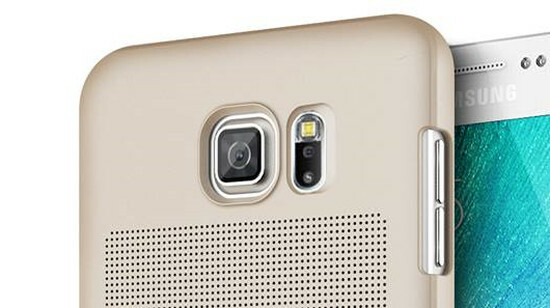 As we approach its big unveiling on March 1, more and more details about the Samsung Galaxy S6 are allegedly revealed. Today it's time to take a look at the upcoming flagship's battery capacity. According to some information coming from South Korea, it looks like Samsung will only fit a 2,600 mAh cell into the Galaxy S6. That's 200 mAh smaller than the one found inside its predecessor, the Galaxy S5. If true (and that's a big if), this isn't great news. Sure, Samsung is set to use its new Exynos 7 Octa chipset in the S6, and because that's made on a 14nm process it should be quite battery friendly. On the other hand, though, the trend lately has been to increase battery size from one generation of a flagship smartphone to the next, not the other way around. Even if Samsung somehow manages to make the Galaxy S6 with a 2,600 mAh cell last as long as the Galaxy S5 with a 2,800 mAh battery, people might still wonder why the Korean company thought that would be enough. The S6's rumored metal construction and Samsung's thinness war with Apple may have played their part in this situation. Past mumblings did say that the Galaxy S6 would support wireless charging from the get-go, so at least it will be easier to charge throughout the day if you'll need to. Obviously though, take this with a pinch of salt for now. The source of this rumor goes on to list some other specs for the Galaxy S6, some of which don't line up with what we previously heard. It's said that the device will pack a 5.1-inch QHD Super AMOLED touchscreen and 3GB of RAM - both things that have been rumored before. But the rear camera will apparently be a 16 MP unit with OIS, and not the 20 MP one that's made the rounds up until now. You forget to mention that if S6 will have a 1440 x 2560 resolution, the battery will be drained much quicker than s5.